Author: Ninh, Bao Set In . . . Description: During the Vietnam War Bao Ninh served with the Glorious 27th Youth Brigade. Of the five hundred men who went to war with the brigade in 1969, he is one of only ten who survived. 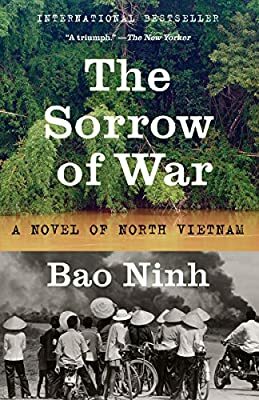 The Sorrow of War is his autobiographical novel. Kien works in a unit that recovers soldiers' corpses. Revisiting the sites of battles raises emotional ghosts for him and the memory of war scenes are juxtaposed with dreams and remembrances of his childhood sweetheart. The Sorrow of War burns the tragedy of war in our minds.